Productive and beautiful plants have roots sunk into soil that suits them. For gardeners wanting to get the most out of their plot of earth, understanding what plants are suitable for a particular soil means understanding the properties of their soil type. There are three basic types of soil: sand, silt and clay. Though soils typically contain all three, sandy soil is predominately sand. 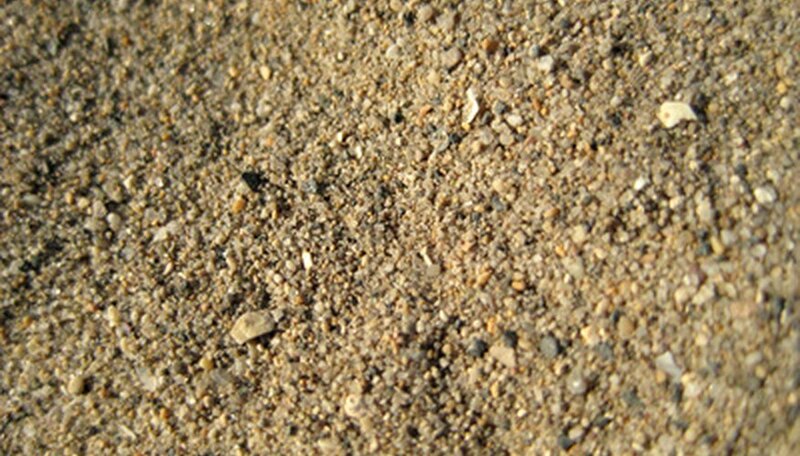 Sand is formed from rocks broken down through weathering. Consequently, it is gritty and coarse and lends this character to sandy soil. Indeed, a quick way for a gardener to judge if sandy soil characterizes a garden is to pick up a handful and feel whether it is mainly rough. (Soils that are predominantly silt or clay feel floury or sticky respectively.) The coarseness of sand means particles are irregularly shaped, so they resist packing, unlike silt and clay. Of the three main soil types, sand is the largest, large enough that you can see the individual particles of sand. The size range of these individual particles is not agreed upon by everyone. The United States Department of Agriculture (USDA) and the International Society of Soil Science both agree that the maximum size of sand particles is 2 mm. However, the USDA puts the minimum size of the particles at 0.05 mm, while the ISSS says the minimum is 0.02 mm. Soil size is a property often referred to as texture; in other words, the size of soil particles determines its texture. Silt particles are smaller than sand, with clay soil possessing the smallest particle size. Porosity is a property that refers to the amount of space in soil, and, therefore, the amount of air. Because sandy soil contains large particles that are irregularly shaped, grains don't fit together compactly, leaving a lot of air space compared to silt and clay. The porosity of sand allows roots to absorb oxygen, a needed plant nutrient, from the air spaces. Other important implications of soil porosity give sand some of its characteristic properties having to do with drainage and nutrients. The porosity of sandy soil allows it to drain well. Indeed, the ability of sand to drain makes it a good additive to soil that lacks the ability. Of course, plants that have evolved to be in wet conditions won't enjoy sandy soil. However, gardeners who choose wisely will find plenty of plants that enjoy the condition, including thyme, juniper and flowering quince. Certainly, gardeners don't have to worry about plant roots "drowning." Since sandy soil drains quickly, gardeners should make sure to monitor the moisture needs of plants, especially during drought conditions. Without intervention--for instance, the addition of organic matter--sand tends to be nutrient-poor. Nutrients dissolved in water toward the soil's surface pass through the spaces between sand particles and drain away. Meanwhile, the air allows microbes to quickly devour organic matter that plants would use as nutrients. Gardeners should take measures to ensure the fertility of sandy soil by incorporating organic matter. 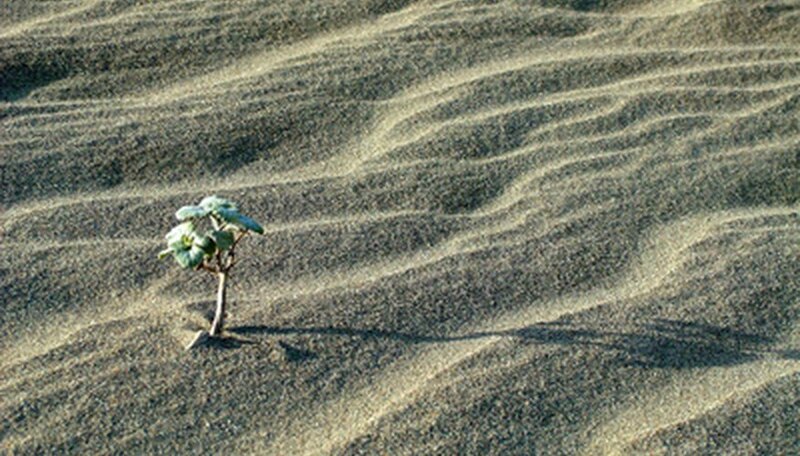 MadSci Network: Do Plants Go Better in Soil or Sand?